Come and make your holiday memories here. This is a lovely modern beach front property. Walking distance to cafe and parks. Ohope is an excellent place for all of the family to have fun. The beach and the harbour provide hours of fun, excellent fishing and water sports. Pets negotiable. $25 extra cleaning costs. A very spacious house with bedrooms and bathrooms on 3 levels. Very clean. Well equipped. Absolutely loved our stay in Ohope. The house is in the perfect location with plenty of room and parking for the group (10 people). Highly recommend this property! What a fantastic place! 6 bedrooms for our family of 11 meant there was plenty of room for us to spread out. From the layout of the house, to the decks and the stunning views, this lovely home had everything we needed for a much-deserved week's holiday. Thank you so much, Fiona. 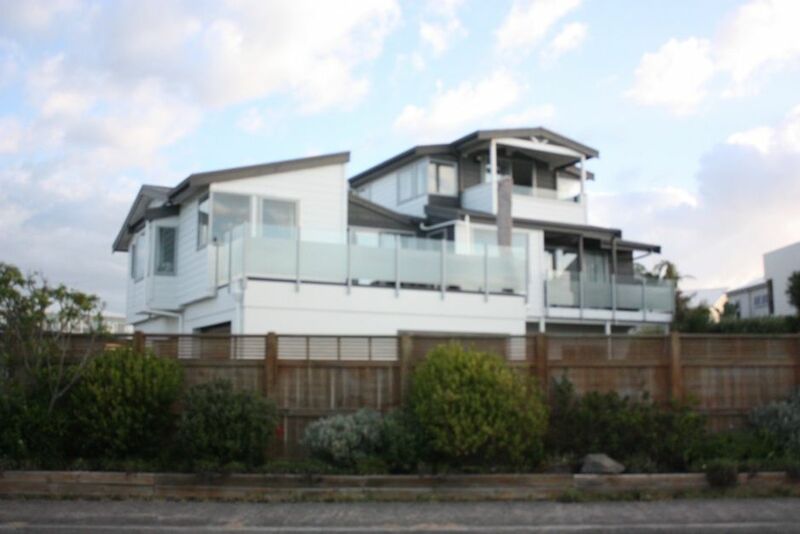 Location was brilliant right across the road from the beach with 2 beach accesses very close. The property was easy to get in and out of with plenty of space inside and out. The house was very well catered to our needs and I would have to say the best Kitchen, bathrooms and laundry facilities we have ever come across in a holiday home. It really is a beautiful, relaxing home to stay in.